Manuka honey always has some antibacterial activity measurement labelled on the jar. However the numbers can be confusing, because there are different measurement systems in use! One of the most common is MGO (or methylglyoxal). 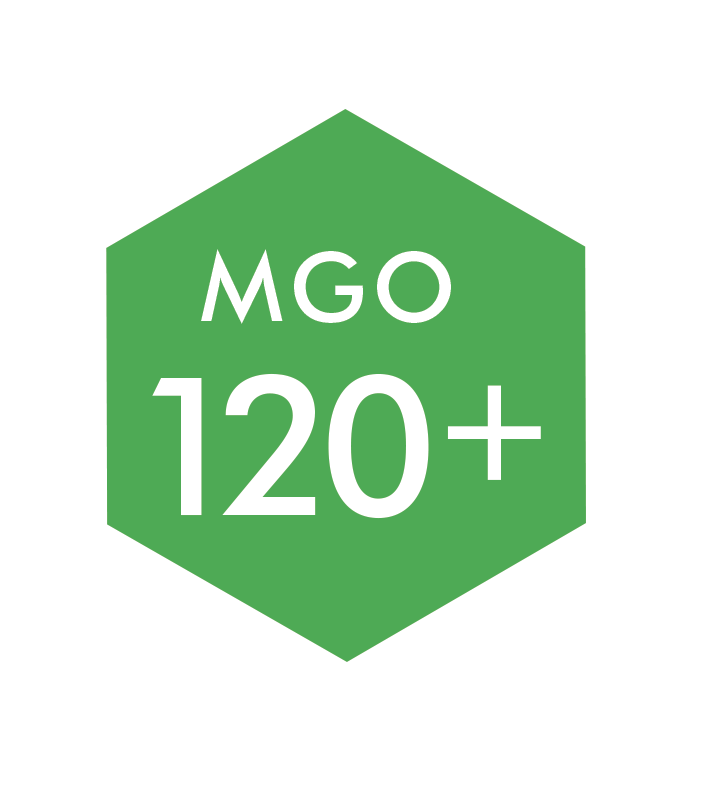 MGO is a globally recognised measure of antibacterial activity. Another system you might see referred to on jars of honey is “UMF” (a scheme created in New Zealand). Berringa use the proven MGO measurement methodology to grade our range of 100% Australian Manuka Honey and we verify the actual MGO levels for each batch through independent testing at Australian Government NATA accredited laboratories (which also means you can be sure that the MGO level stated on the outside of each jar of Berringa is accurate). 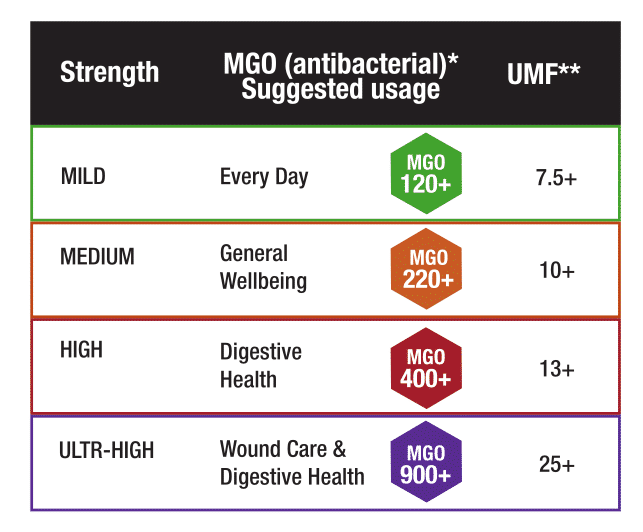 If you are confused by the numbers on the outside of a jar though, the chart below provides a useful summary of the MGO to “UMF” conversion – so you can easily translate the antibacterial strength for yourself. Reference: */** Cokcetin N.N., Pappalardo M., Campbell L.T., Brooks P., Carter D.A. Blair S.E. and Harry E.J. The Antibacterial Activity of Australian Leptospermum Honey Correlates with Methylglyoxal Levels. PLoS One, 2016, vol. 11, no. 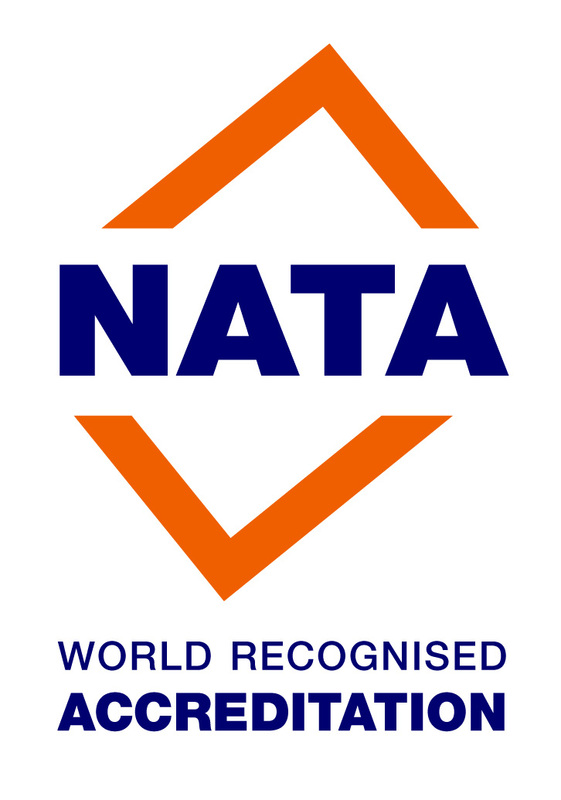 12, ppe0167780.